In October 2013, the median price of a single-family home in Hingham, Massachusetts increased by 7.12 percent compared to October 2012, according to data tracked by The Warren Group, publisher of Banker & Tradesman. The median price for a single-family home in Hingham, MA in October 2013 increased to $707,500 from $660,500 in October 2012. Bucking the statewide trend, the median price of a single-family home during the first ten months of 2013 decreased .08 percent compared to the same period in 2012. Through October 2013, the median price was $645,500 compared to $645,000 for a single-family home during the same ten-month period in 2012. 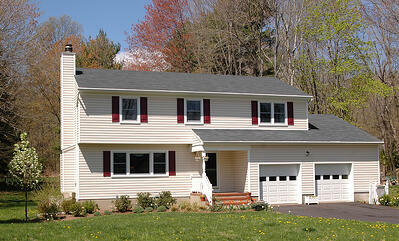 Home sales in Hingham decreased 10 percent in October to 18 sales, down from 20 home sales in October 2012. From January through October, homes sales increased 6.36 percent compared to the first ten months of 2012. There were 236 single-family home sales January through October in 2012, and 251 single-family home sales during the same period this year. From January through October of this year, the median condo price in Hingham decreased 1.54 percent from the same period in 2012, from $592,700 to $583,600. For the month of October, prices decreased 4.91 percent. In October 2013, the median sale price was $563,600 compared to $592,700 in October 2012. There were 12 condo sales in October 2013, a 50 percent increase from 8 in October 2012. There were 56 condo sales between January and October of 2012. There were 85 condo sales through October this year, a 51.79 percent increase. Hingham followed most other cities and towns in Massachusetts and saw a decline in real estate inventory, according to data released by the Massachusetts Association of Realtors. The number of single-family homes on the market in October declined 10.6 percent. The number of condominiums on the market declined in October by 39.5 percent.